Give it up for your city’s sewer system – aside from handling our waste (well, at least most of the time), it also fights disease. A new MIT project aims to map the microbiome of the sewers, and through it, have a better understanding of modern cities. Cholera, typhoid, dysentery, and many other fatal infections once ran rampart through cities, but since then, we’ve become better and better at containing and eliminating them (at least from some areas). But if these microbes went away from our city’s microbiomes, what else changed? That’s what a group of researchers set out to find. 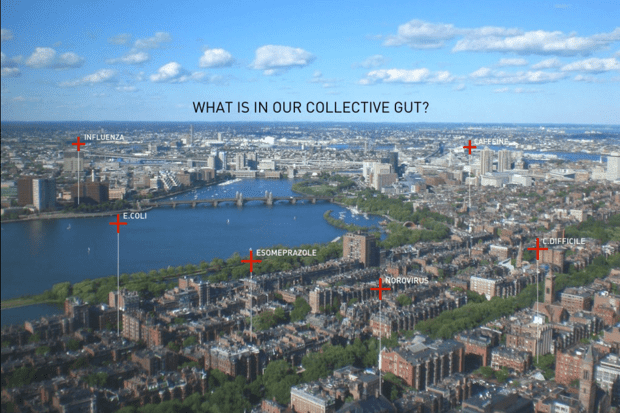 “You can tell a lot about a person by sampling their microbiome: presence of illness, certain genetic tendencies, and overall health,” says Carlo Ratti, architect, engineer, and director of MIT’s Senseable City Lab. Those invaluable biomarkers live on in our sewage, which is why Ratti has been decoding microbes in the sewers of Cambridge, Massachusetts, for more than a year, alongside MIT computational microbiologist Eric Alm, other researchers, and city officials. Of course, the project was quite messy at times; there is a lot of “getting your hands dirty”, and Ratti often had to go down manholes to manually collect waste. Known as Underworlds, the initiative now involves a network of automated robotic samplers stationed throughout Cambridge, Massachusetts. The data is then analyzed by Ratti and fellow colleague Eric Alm. There are still many tweaks and kinks that still need working out, but already, the results are spectacular. A single sample of sewage was found to host 58,000 viruses, many of which are hosted by bacteria associated with gastroenteritis, skin warts, and the common flu. When you connect the dots and look at things at a larger scale, you can track microbial population evolution and predict oubreaks of infectious disease – even predict the evolution of new viral strains. “[It] could significantly reduce a community’s medical costs, save lives and help prevent pandemics,” Ratti says. Furthermore, it could lead to the creation of a better way of understanding some urban demographics. For example, neighborhoods with more antibiotics in their wastewater are expected to have larger populations of children or elderly people – or higher rates of health care access. Data like that could lead to a new generation of a population census. But for now, Underworlds is only a proof of concept, although operations are already expanding to Kuwait, where the platform’s ability to detect enterovirus outbreaks will be of particular interest.